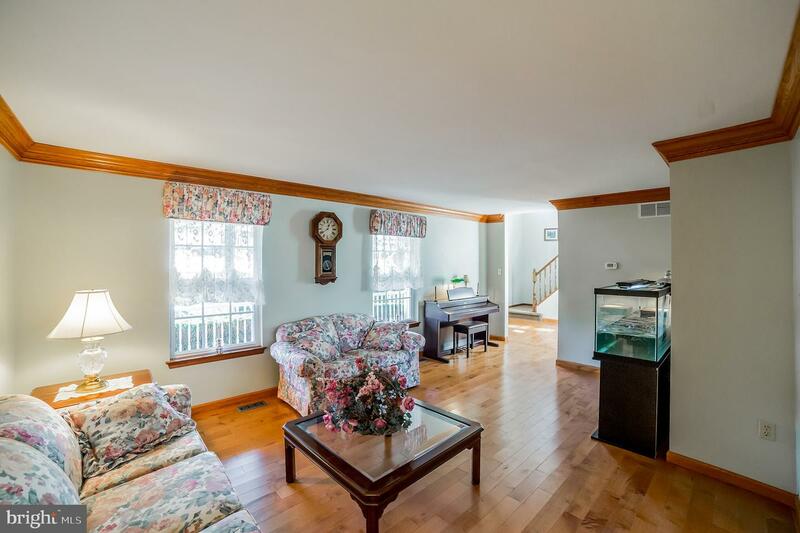 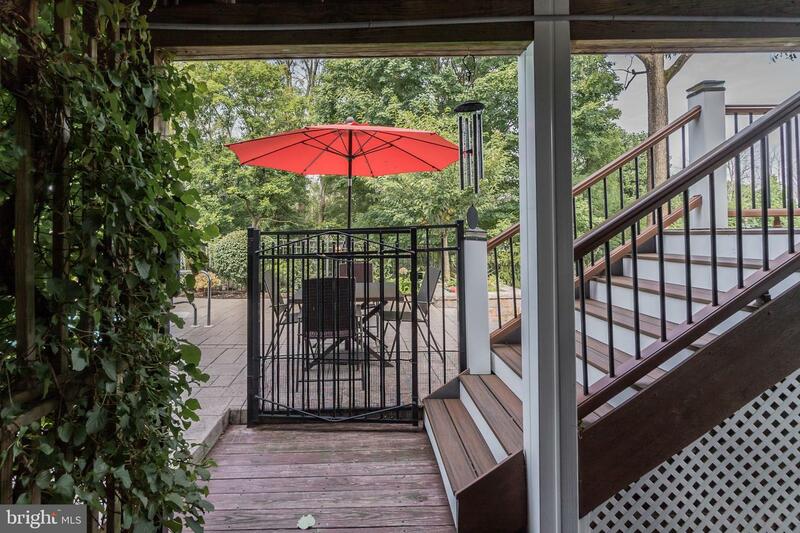 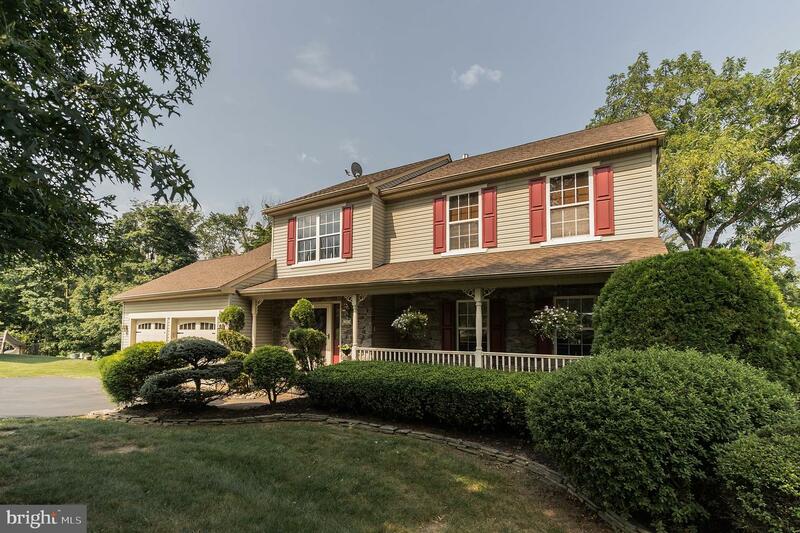 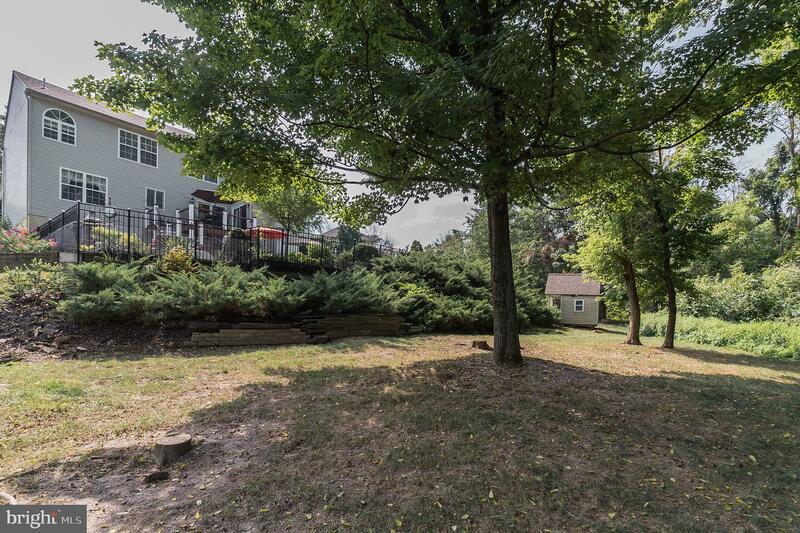 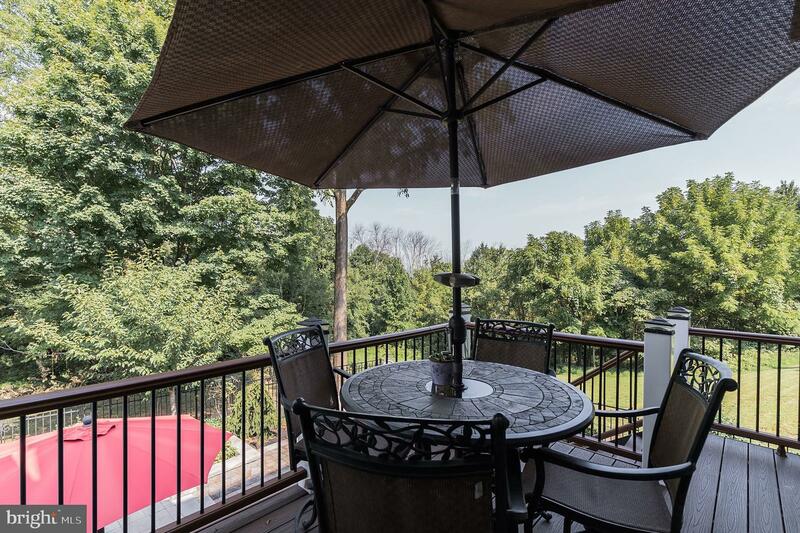 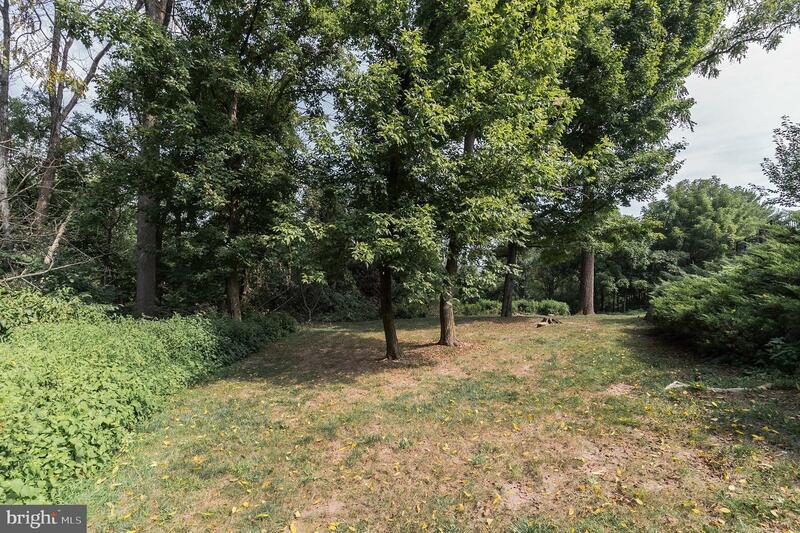 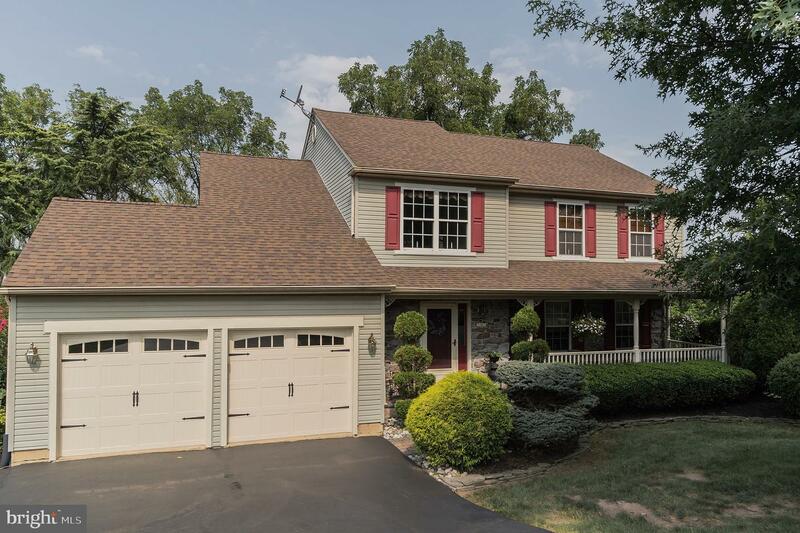 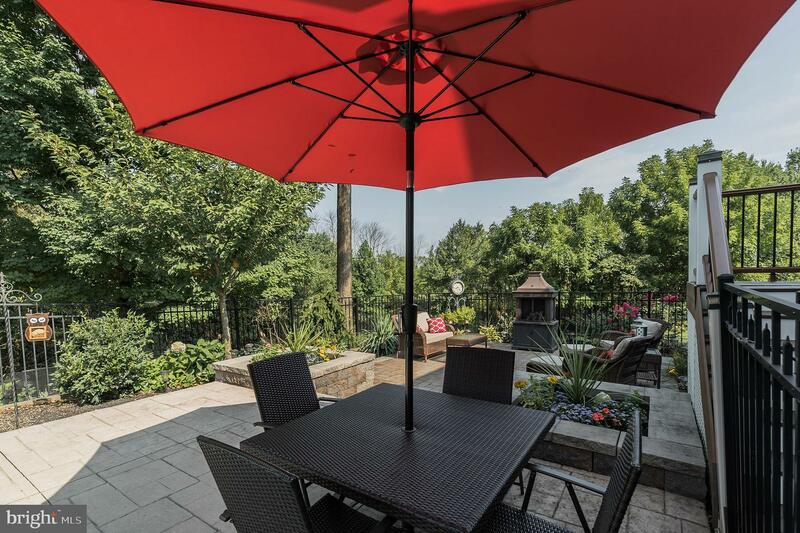 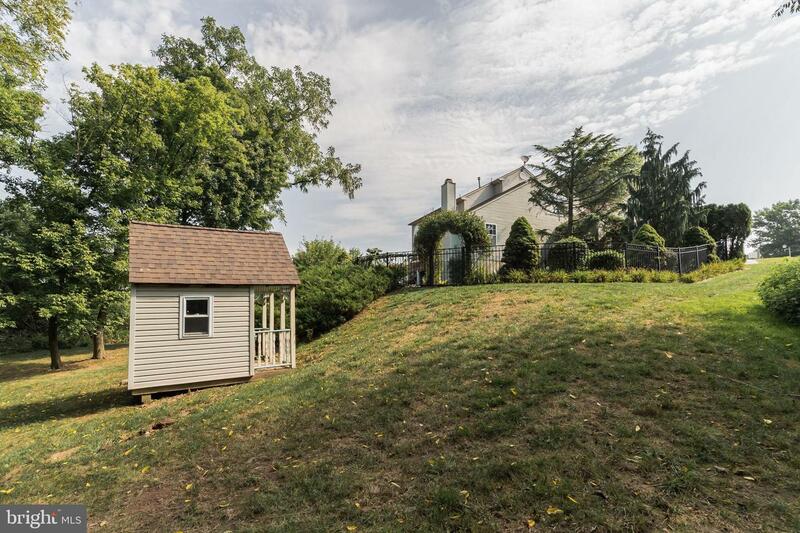 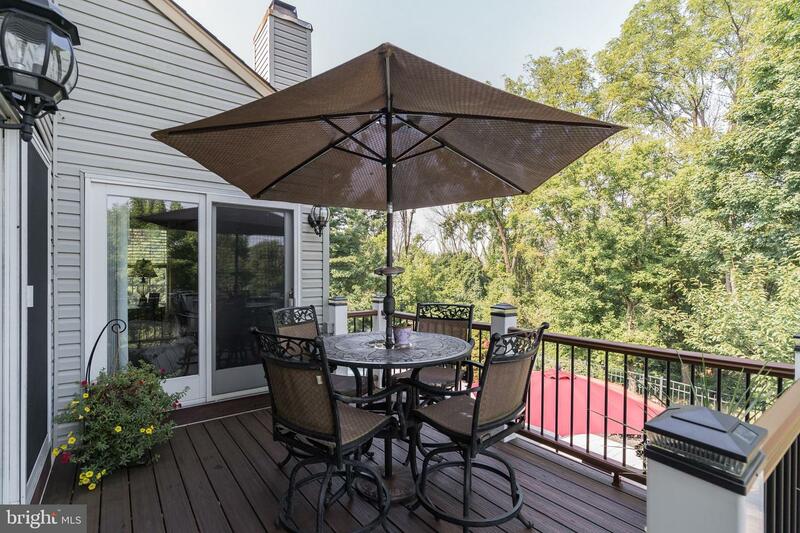 A++ condition colonial on quiet cul de sac backs to trees and privacy! 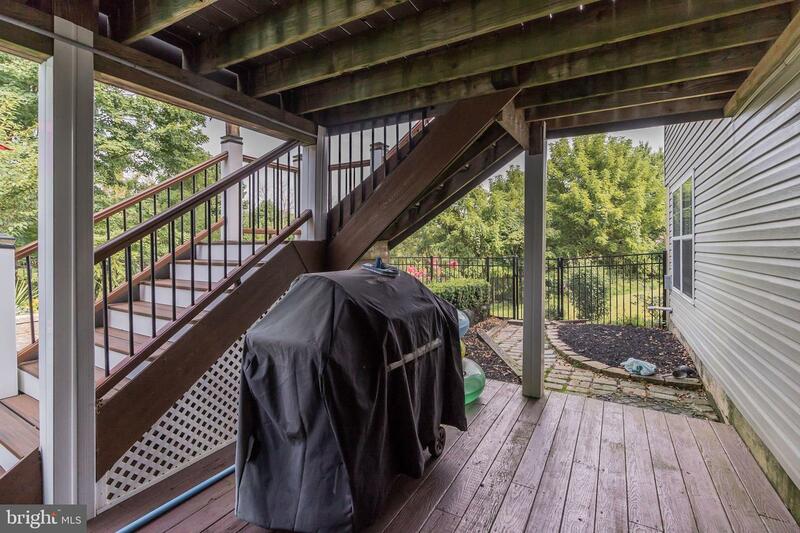 Beautiful covered front porch opens to two story foyer with gleaming hardwoods that run through most of first floor. 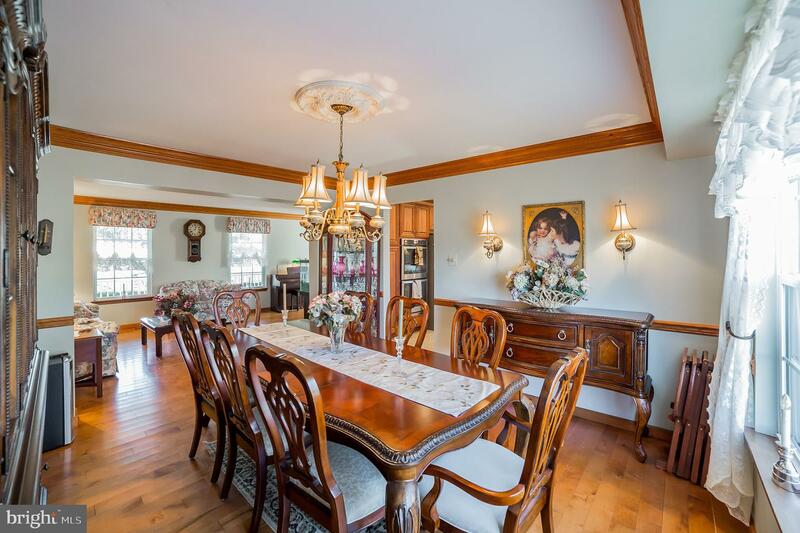 Spacious living room with hardwood floors and crown molding opens to the elegant dining room with chair rail, crown molding, hardwoods, custom medallion, and custom lighting. 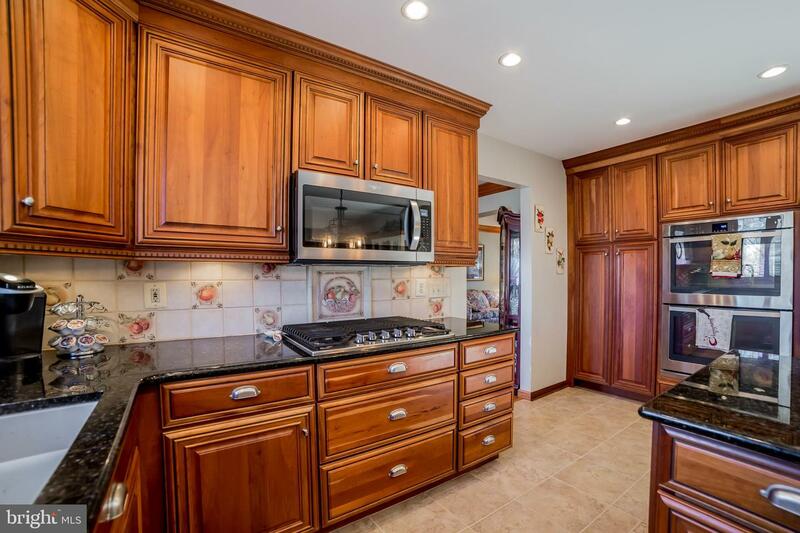 The kitchen has been tastefully upgraded with high-end cabinets, stainless appliances (including double oven and gas cooktop!! 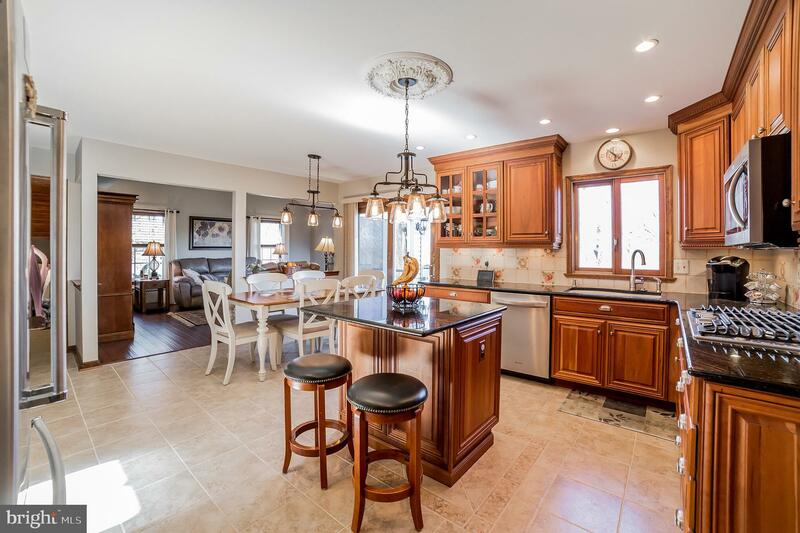 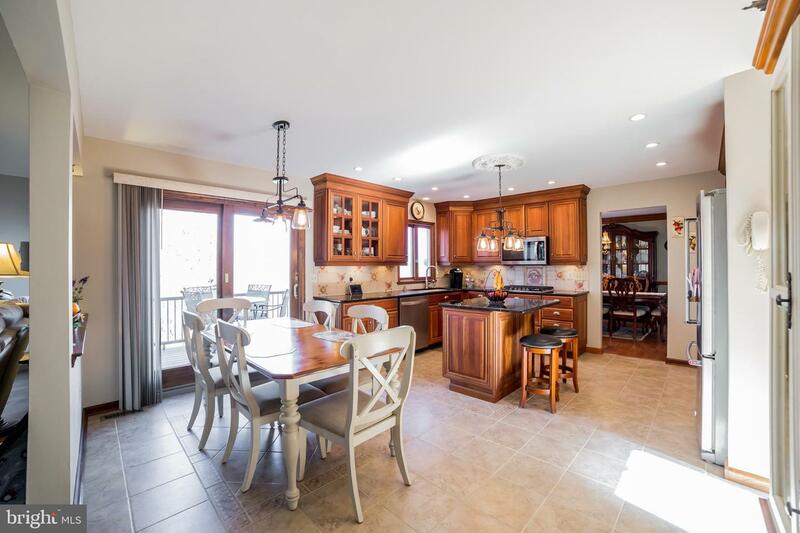 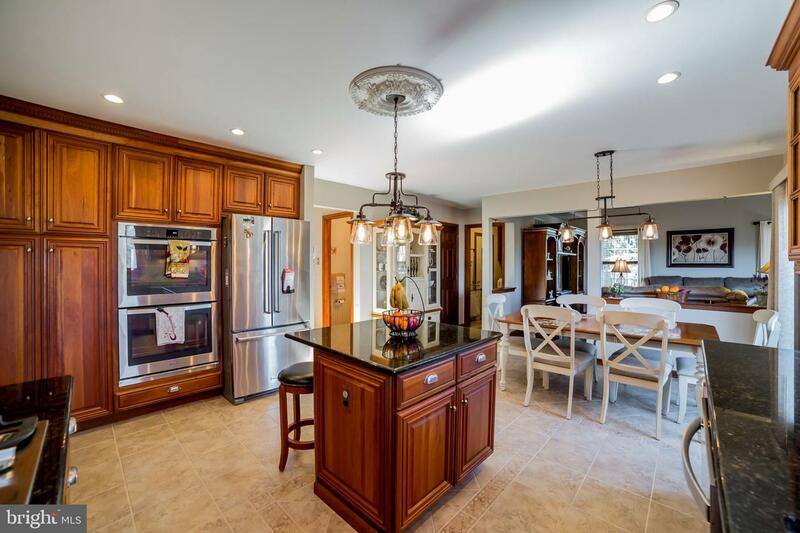 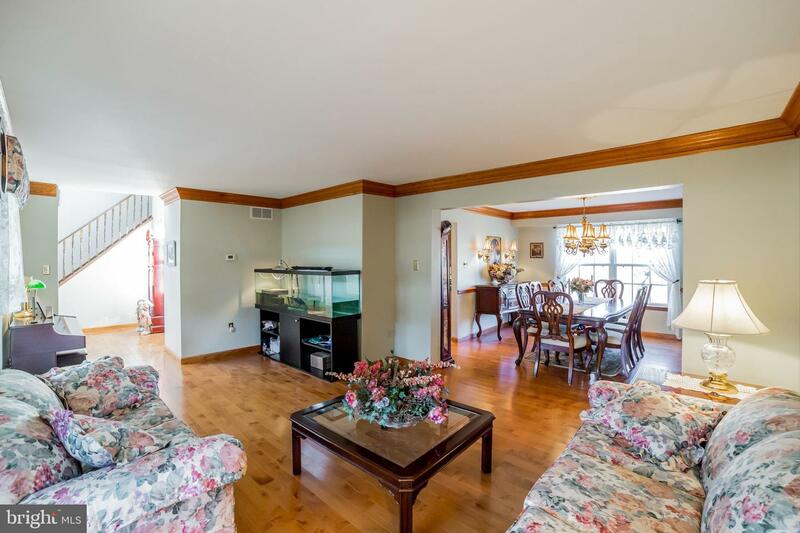 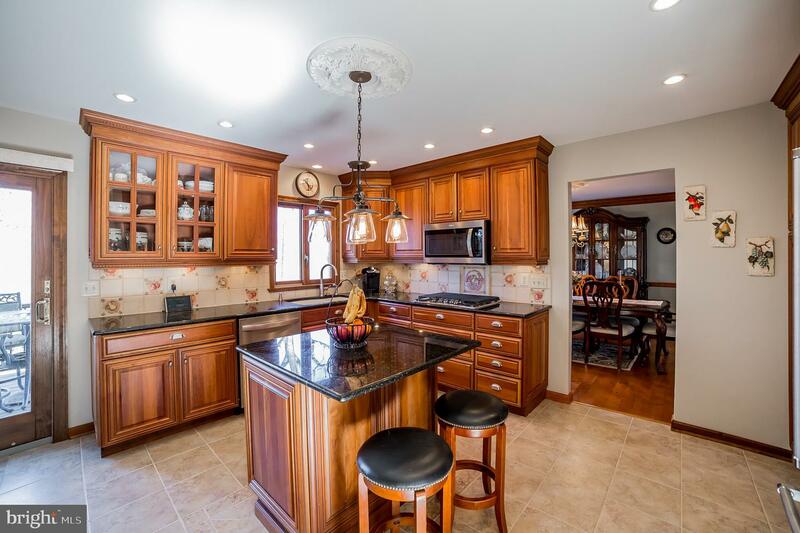 ), custom tile flooring, granite counters, island, and great lighting with high hats as well as custom lights over island and in spacious breakfast area. 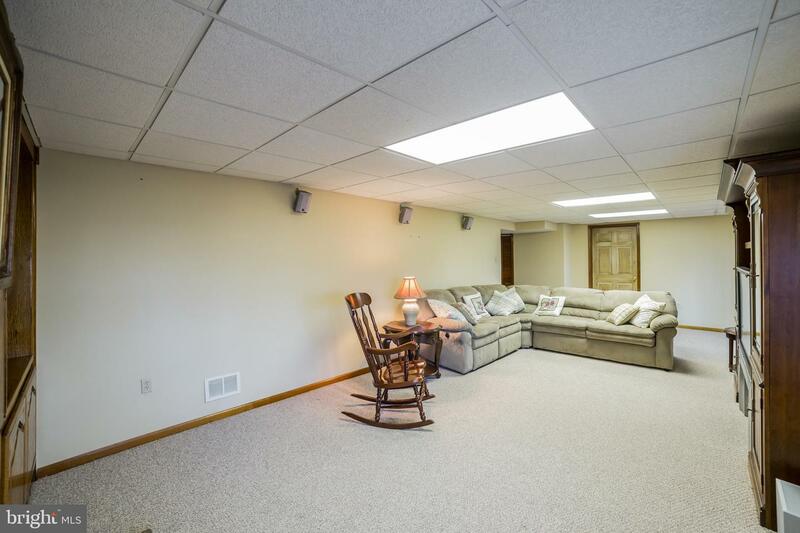 Family room has vaulted ceiling and sliders to deck! 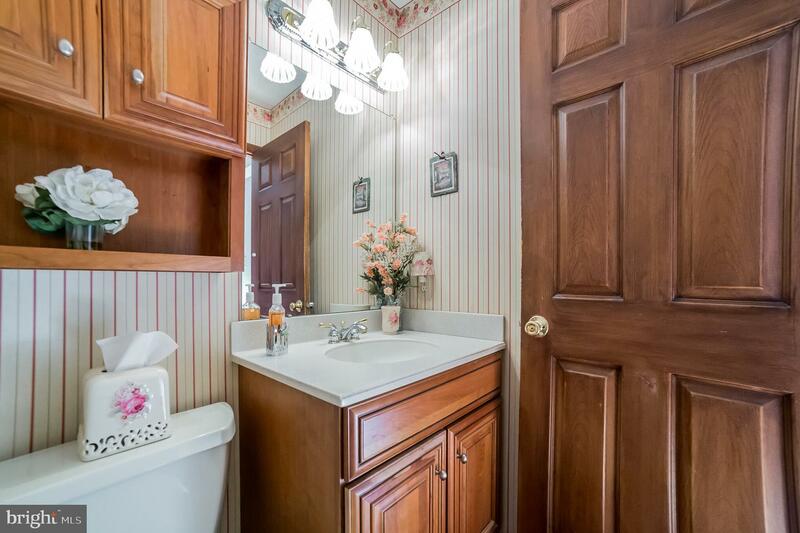 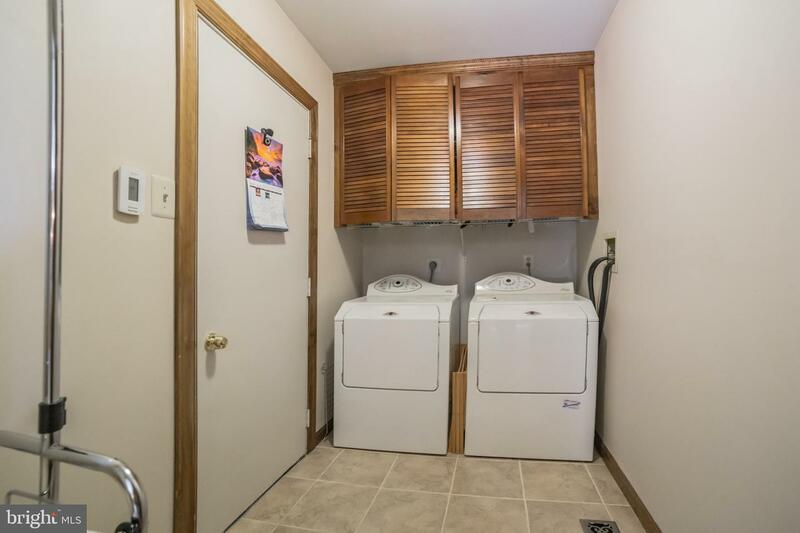 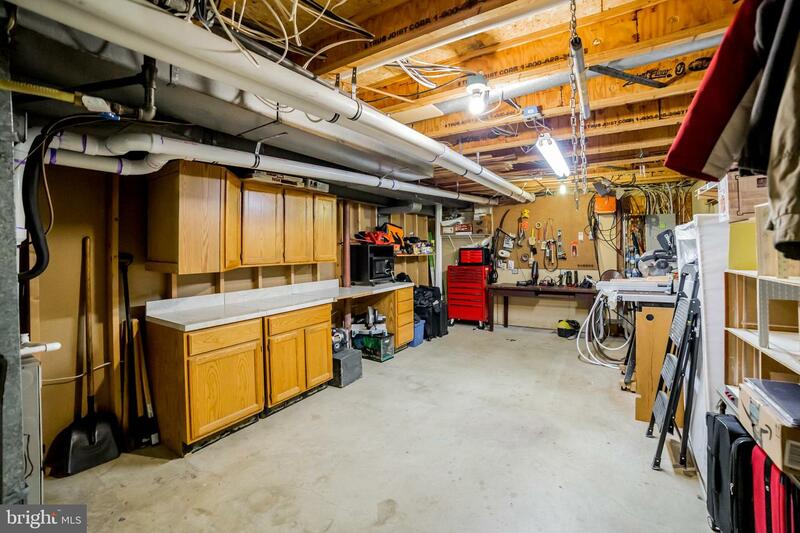 A powder room and a laundry/mud room with garage access round out the first floor. 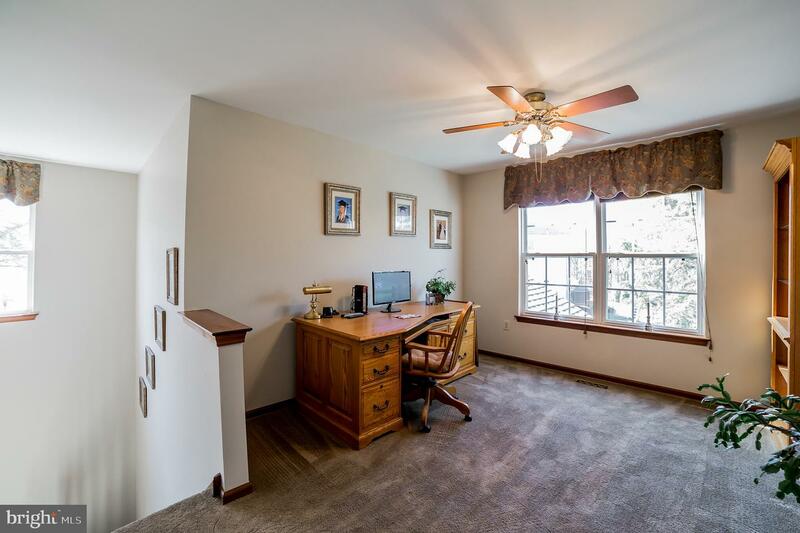 Upstairs, a lovely office/den overlooks the family room (though this room could also be easily converted to the fourth bedroom). 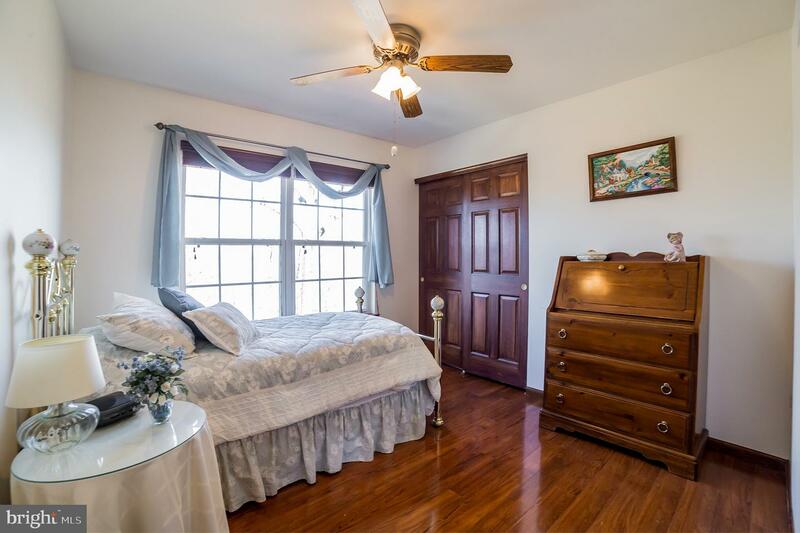 The master suite has a vaulted ceiling, large walk in closet, and updated private bath with double vanity, tub, and stall shower. 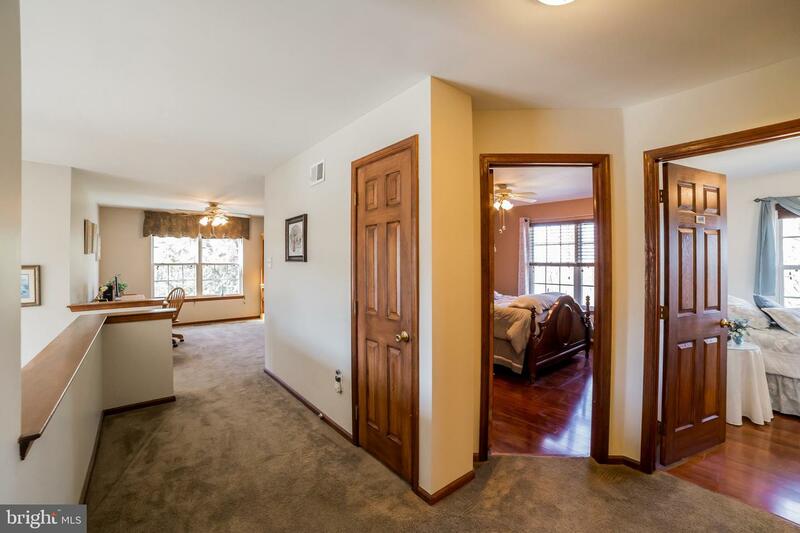 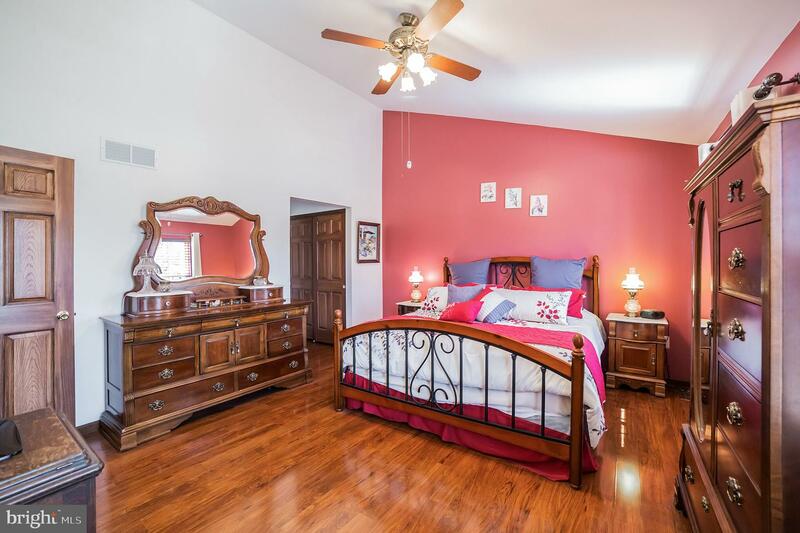 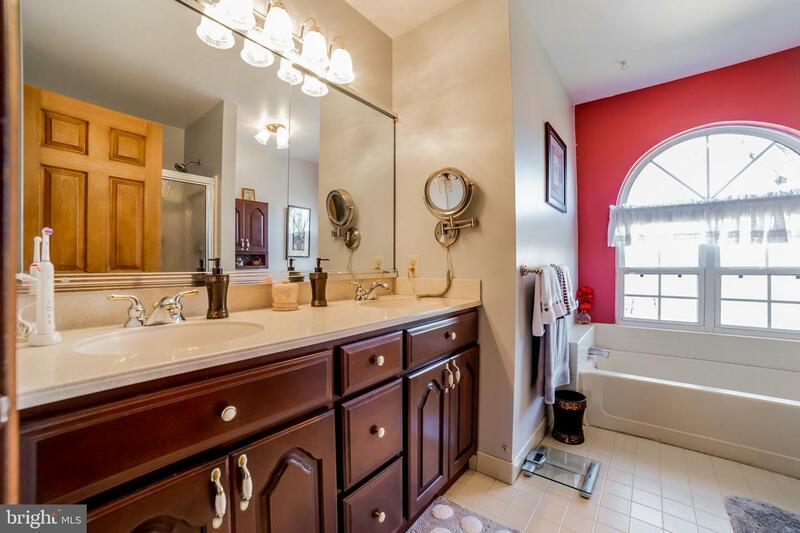 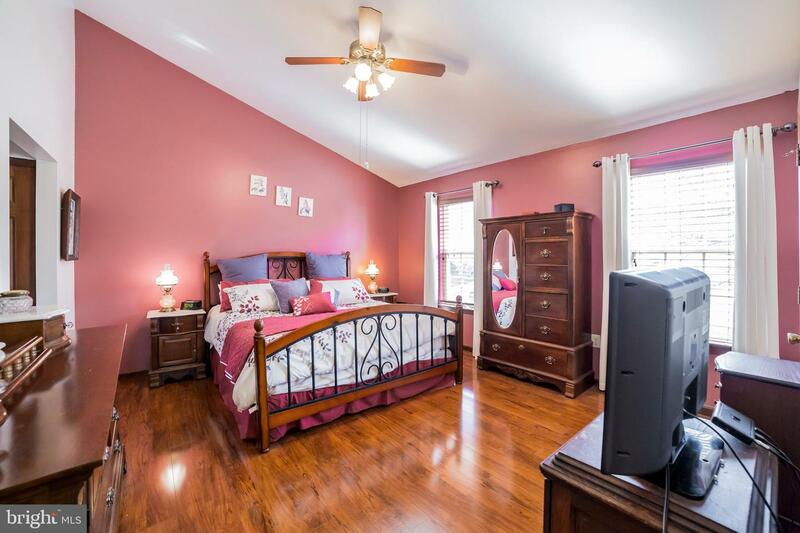 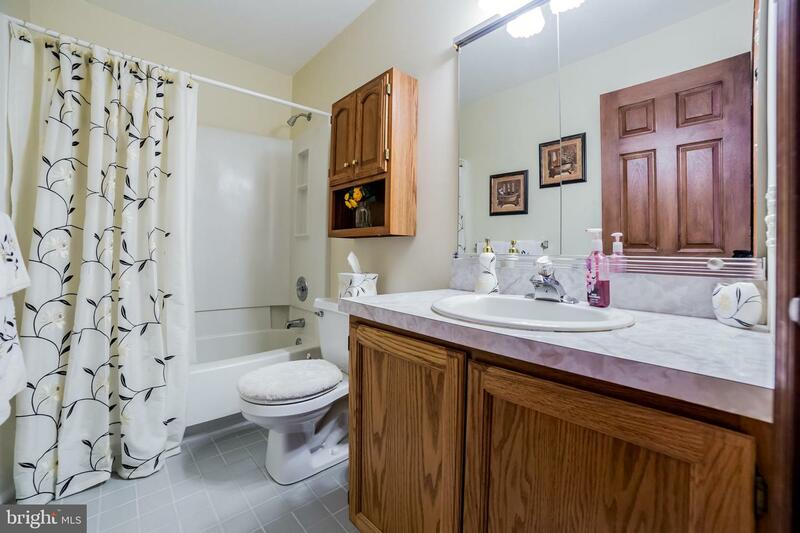 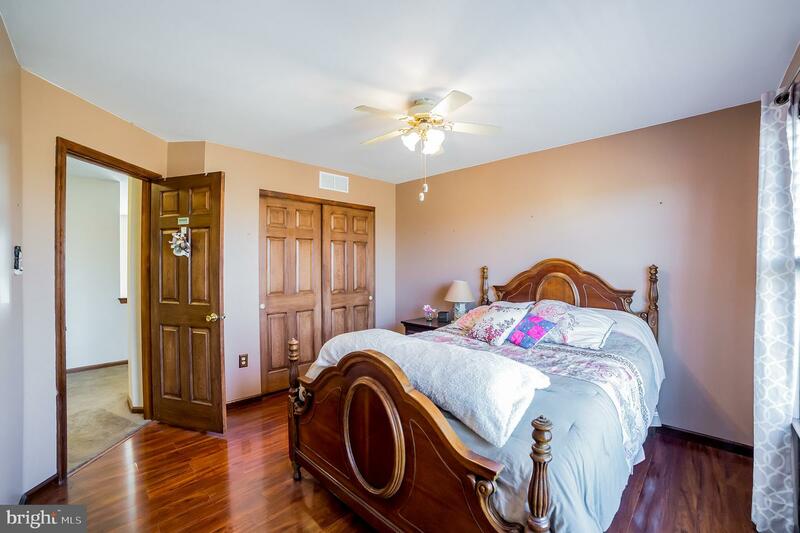 Two more nice sized bedrooms with ceiling fans and double closets share the hall bath. 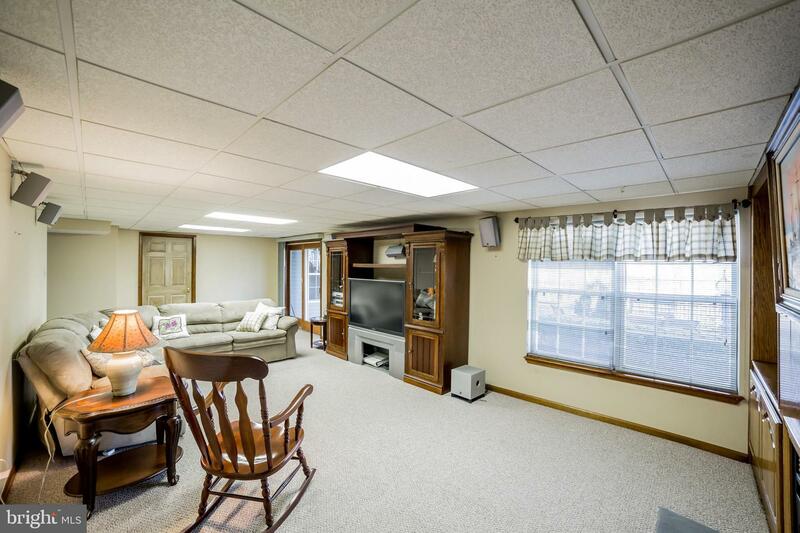 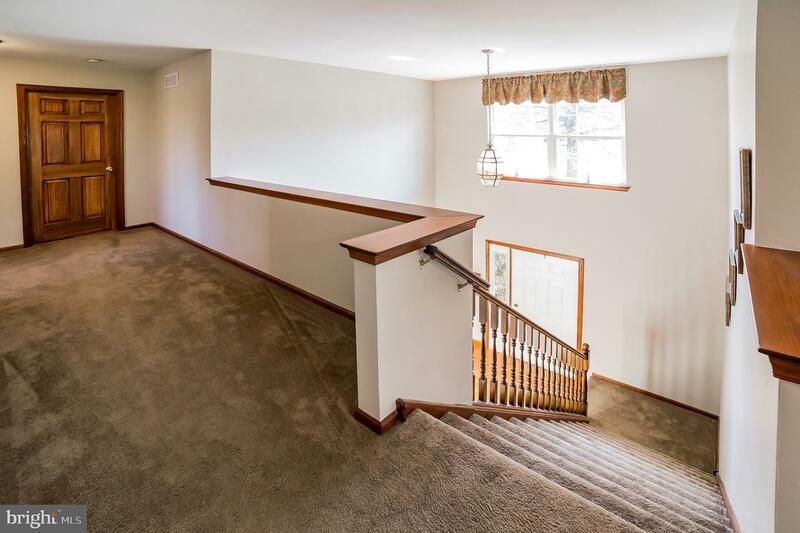 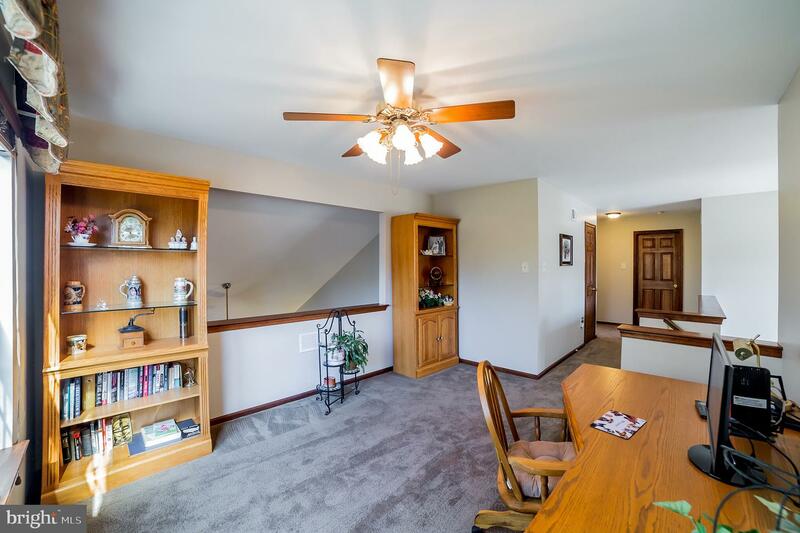 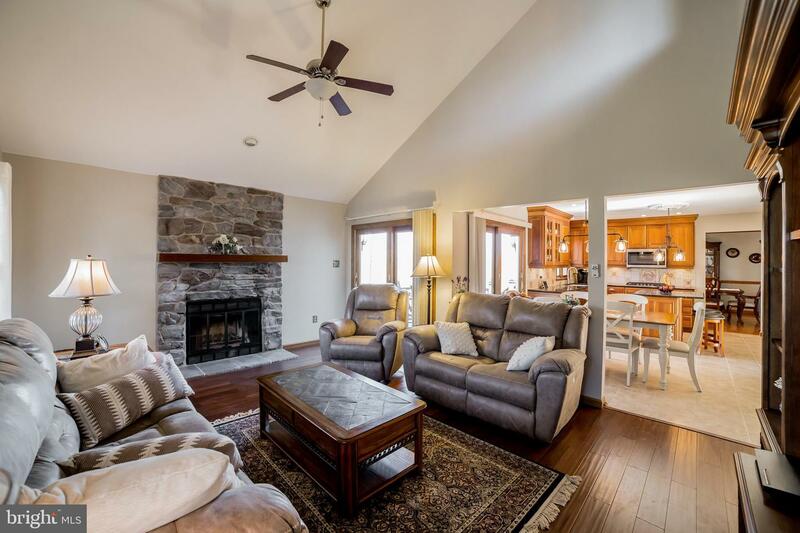 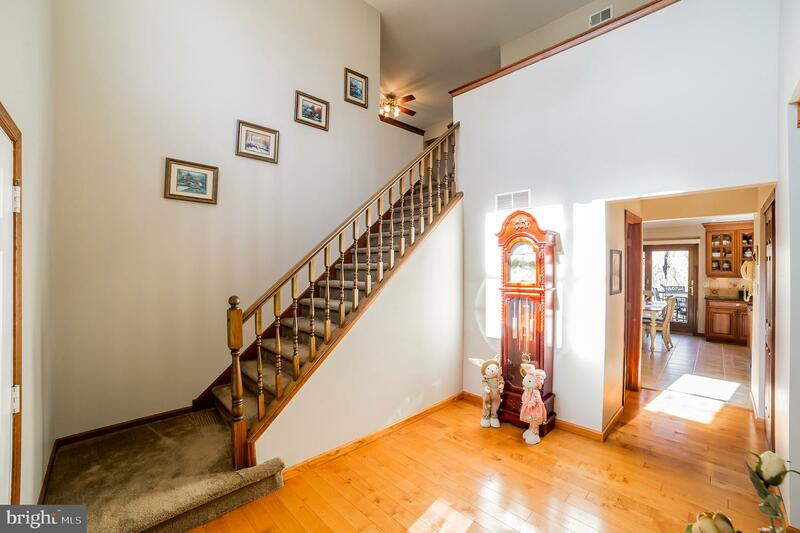 Downstairs, the finished walkout basement with 2nd fireplace is a great place to relax! 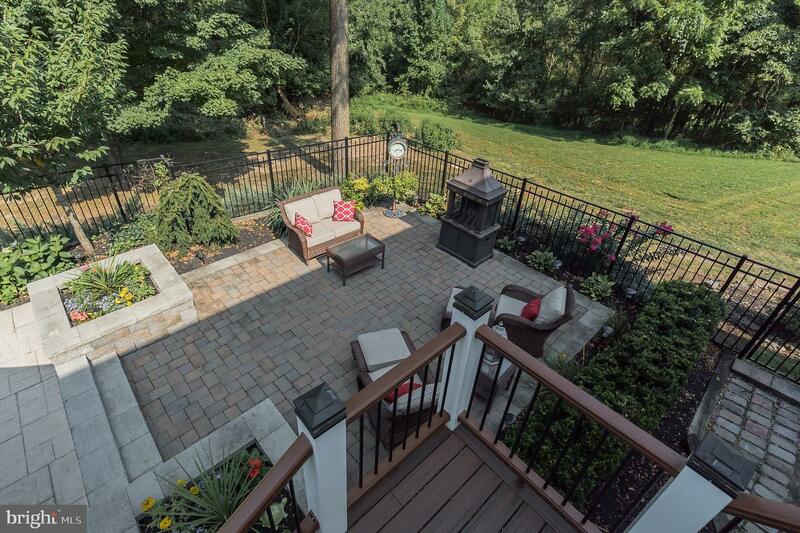 Once you go out back, you won't want to leave!! 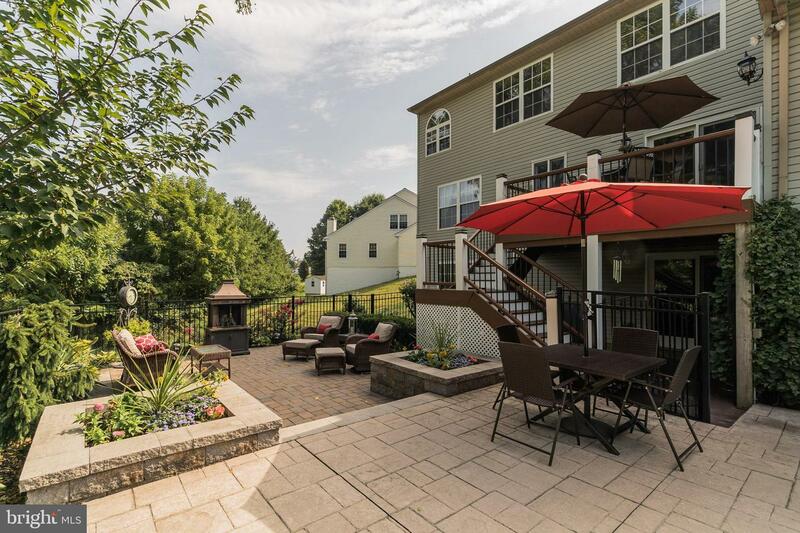 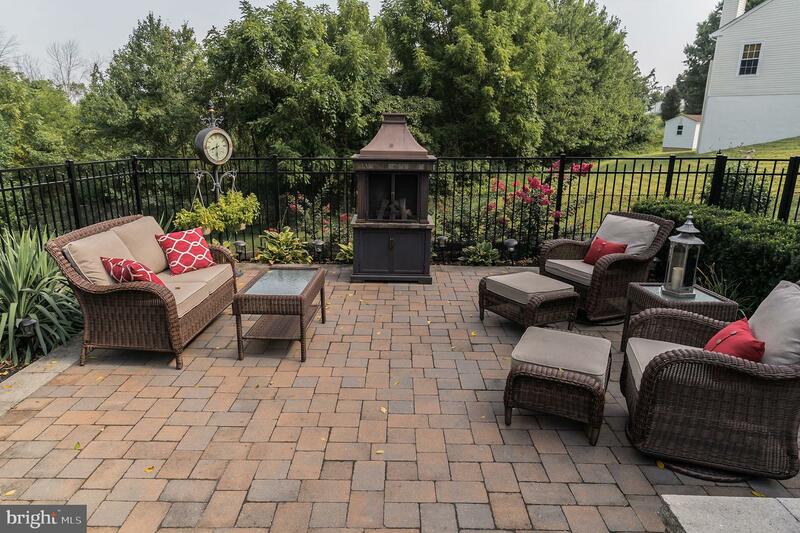 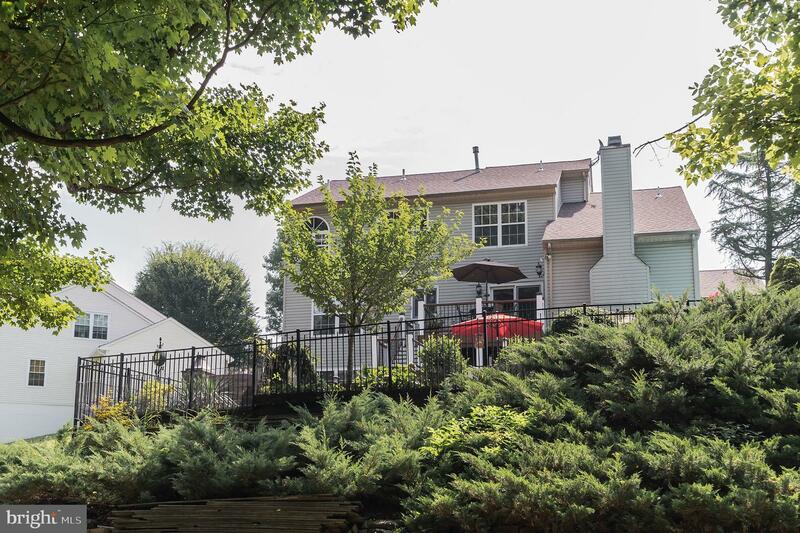 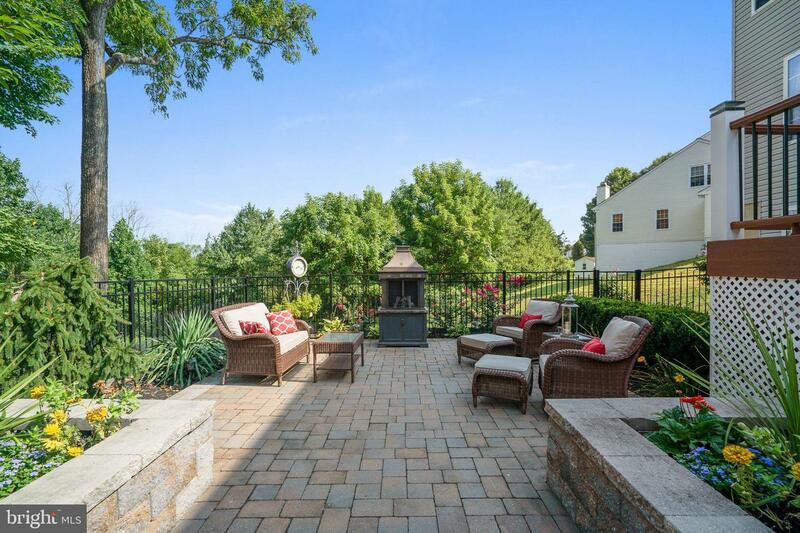 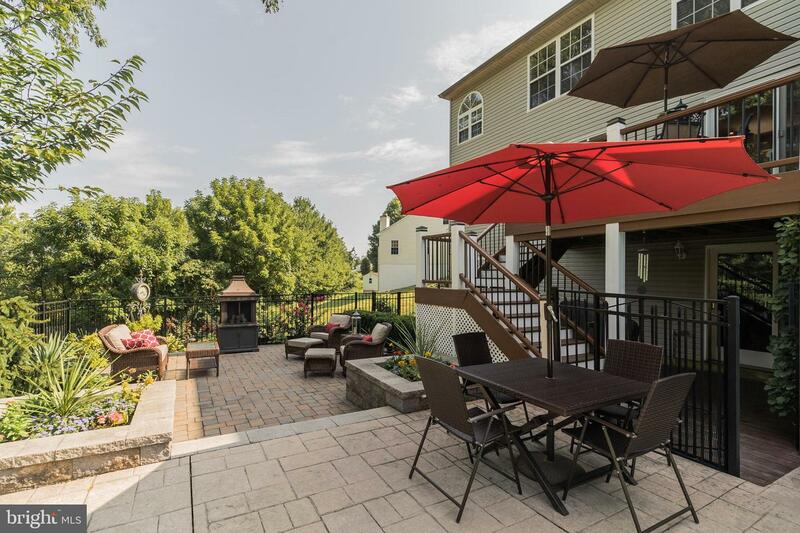 From the main living level, step out to the composite deck and enjoy dinner, or head down to the custom paver patio with built in planters and beautiful landscaping. 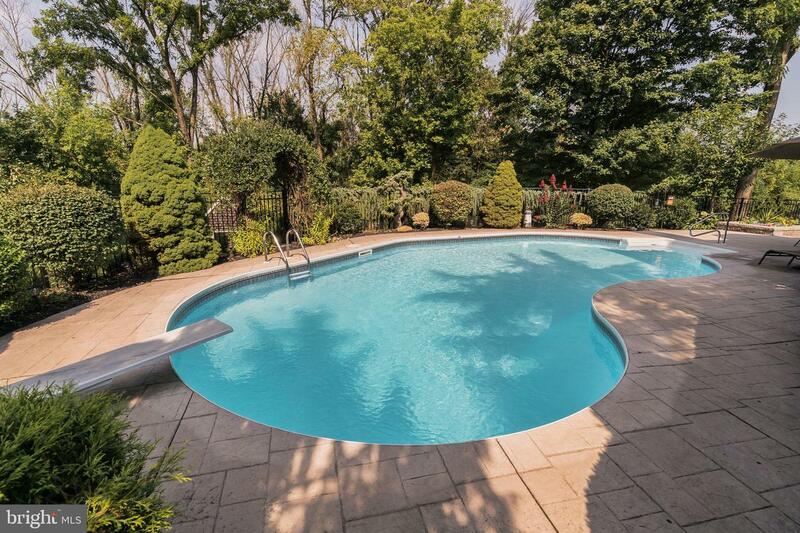 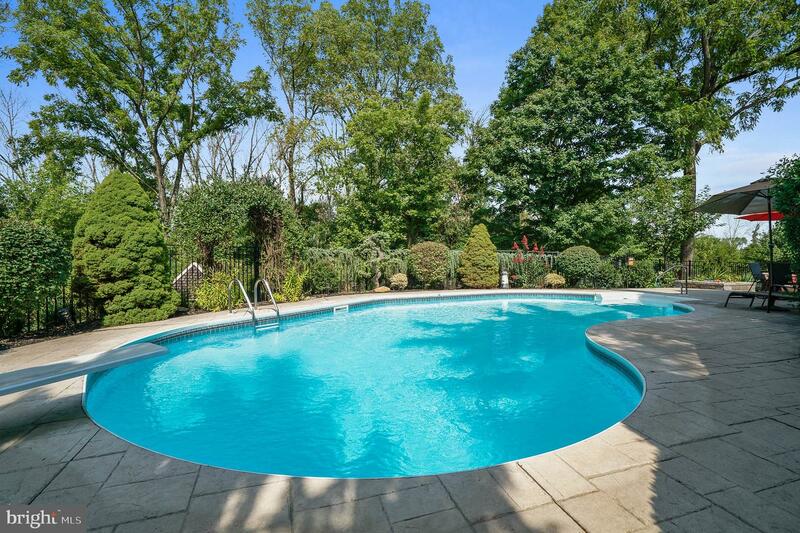 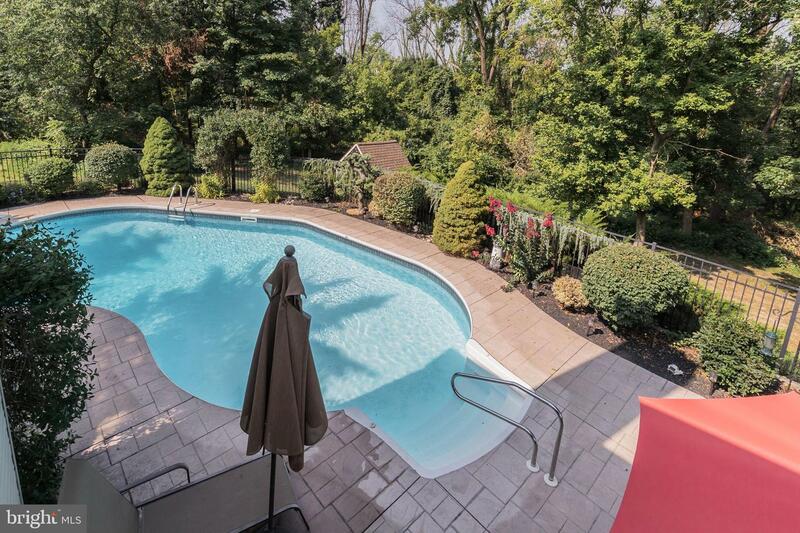 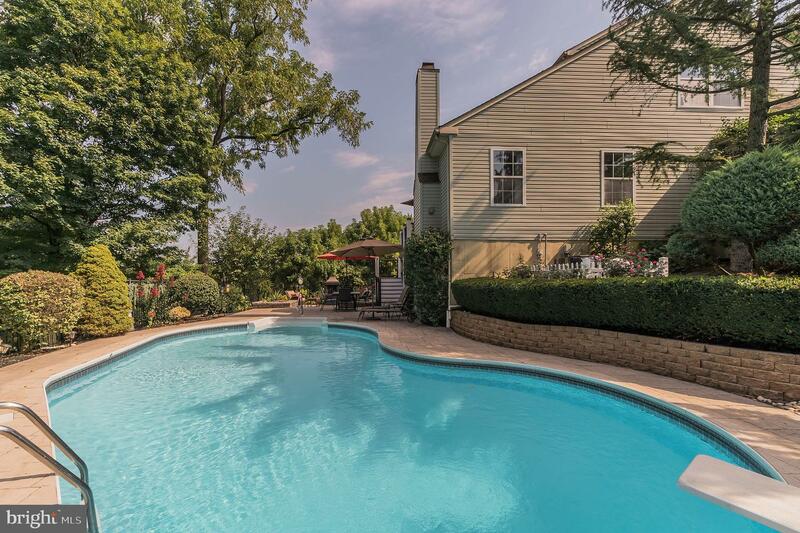 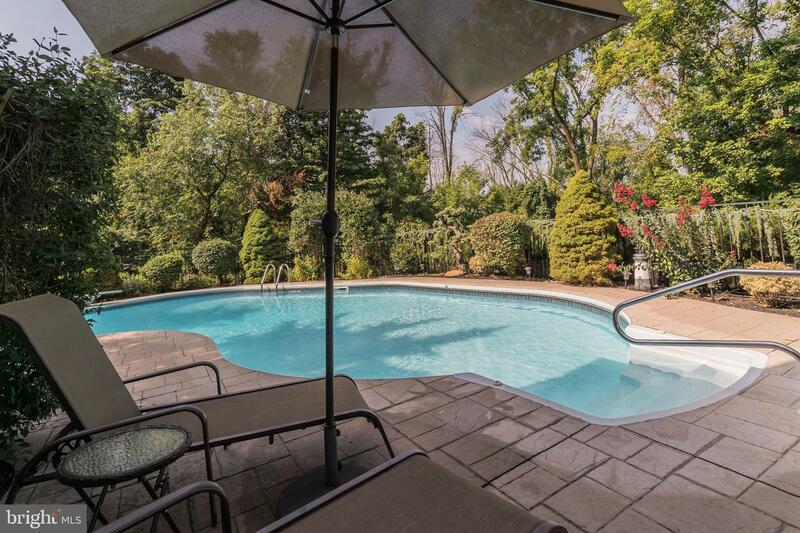 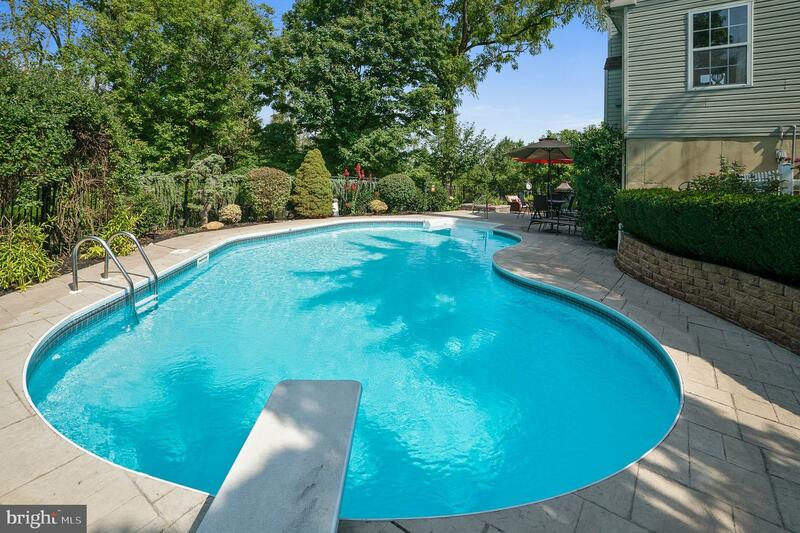 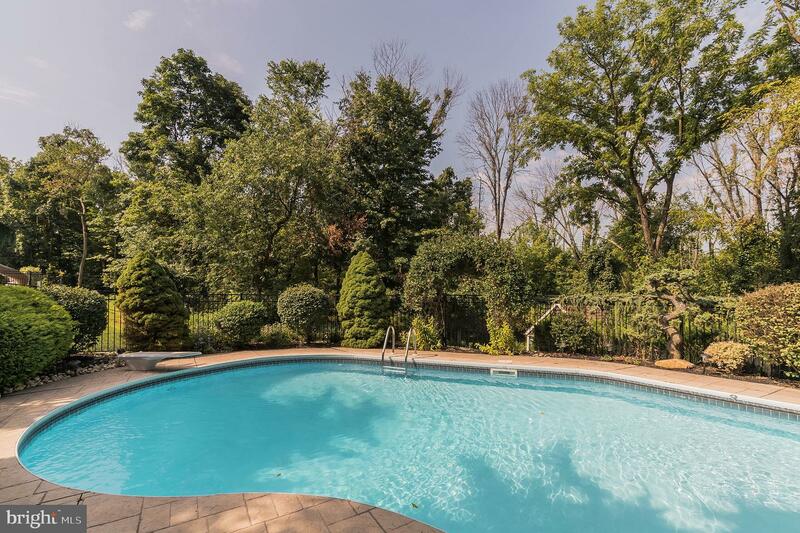 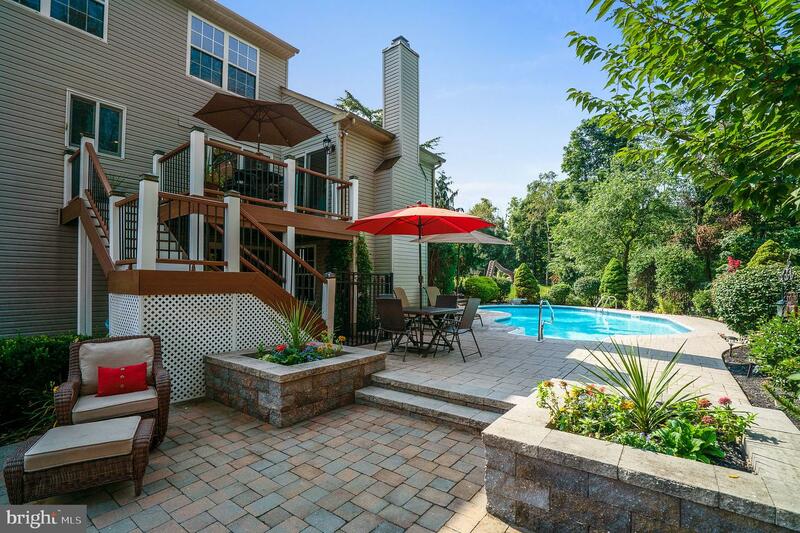 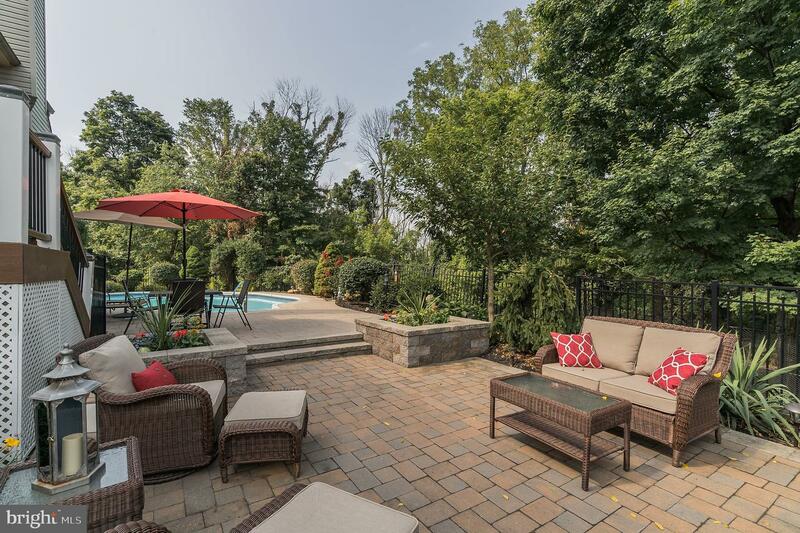 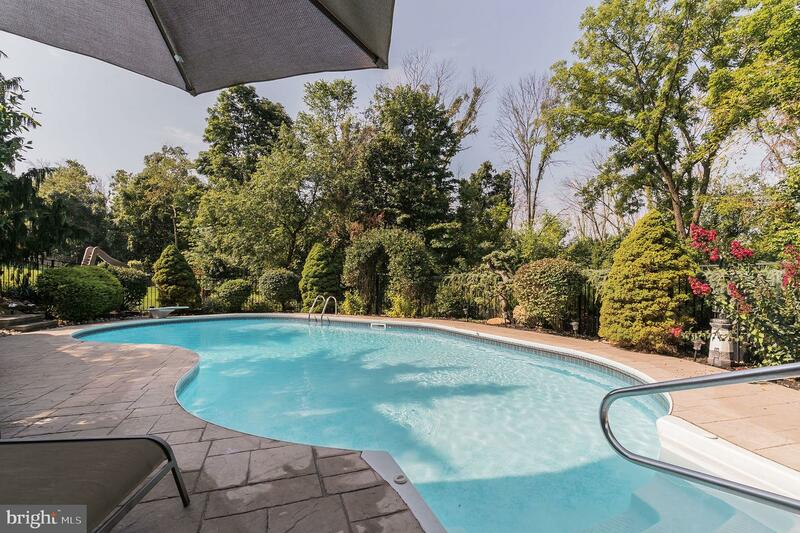 Relax and enjoy the serenity of your own backyard oasis or take a dip in the in-ground pool. 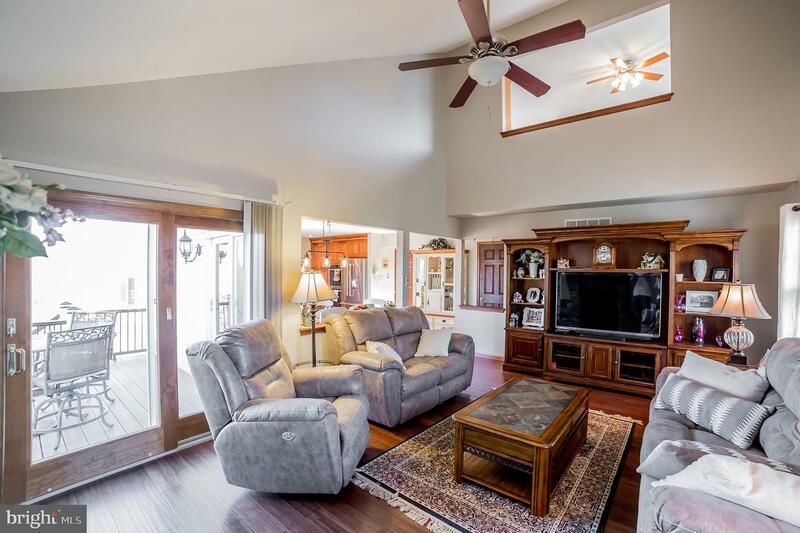 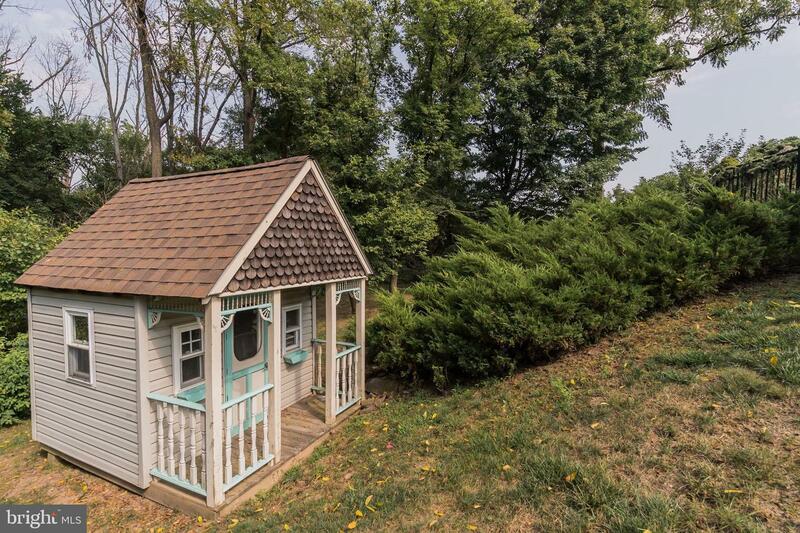 This stunner also has a newer roof and HVAC system, and tankless water heater!